Uninterruptible Power Supply equipment (UPS) have become very common today in business, schools, hospitals, homes, the military and more. They provide temporary battery backup power in case of outages. In general, these valuable pieces of gear convert AC power to DC power. When a power interruption occurs, the UPS switches on and provides temporary backup power to the connected devices. This provides a continuous (uninterrupted) electrical supply to keep your equipment running for a predetermined amount of time. Standby systems are often found in small business's and homes and are the most affordable. They have small battery capacity and short battery-duration. Line-Interactive units have an auto-transformer and are a step up from the Standby. These units provide an increased ability to tolerate brown outs while not tapping into the batteries reserve. Double Conversion units are the most expensive and most advanced of the three. With these units the backup power is on/running continuously. Contrary to many popular claims and apparent uses... a UPS is not actually a surge protector. However, some... including the occasional professional, seem to think they are... or at least appear to use them for that purpose. We don't recommend this. The device may provide some form of partial or limited transient voltage protection through it's design - but a quality surge protector that does not make. Don't treat it as one - because again - it's not. Remember, it's called a UPS for a reason. NEC observations, ANSI/IEEE specified surge testing results and real world experience quickly dispel the idea a UPS will provide quality surge protection. Today, claiming a UPS has built in surge protection has become quite common. How well built is the protection in the UPS and what is it protecting exactly? These are good questions. There are some pretty nice UPS/surge combo units available on the market today for business and home. However, the surge protection option is likely protecting the down-line equipment only. And that protection can be limited to a few select receptacles, leaving your other equipment unprotected. In our opinion, that's not the best UPS surge protector option. What about the UPS itself? The sensitive electronics that operate the UPS are typically not protected. If there is some protection included, it's usually very limited and usually board only. What's protecting the UPS power supply, other electronics and batteries? You also should be aware of what the definition of the claimed surge protection actually is for your down-line equipment. Are both normal and common modes protected? Are the protection circuits shared or are they providing individually protected circuits? Exactly what type and how much protection is provided? How do you know if the surge protection is functioning or not? In our opinion, relying on a UPS to provide true surge protection, is not the best protection option for down-line equipment. It's also not the best protection option for the UPS itself. In our opinion and from our experience, following the recommendations by IEEE and FIPS is the best UPS surge protector option. 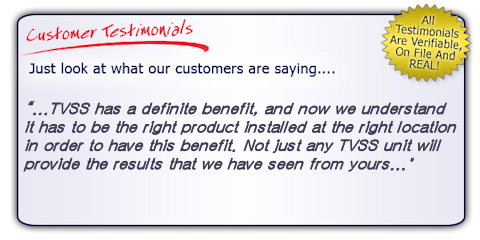 Installing a surge protector or TVSS unit upstream of the UPS is strongly recommended. In many situations, it's recommended to have multiple levels of upstream protection if possible. This layered approach or cascade design protects the UPS electronics, power supply and battery backup. Placement of a SPD upstream from the UPS Power Supply provides protection for the down-line equipment as well. Remember. No UPS... no back-up power supply. Regardless of what type of UPS you are using. If sensitive equipment is important enough to warrant a UPS system, then the UPS warrants being protected by a quality, correctly designed surge protection device. Our line of High Quality, High Performance TVSS equipment is designed for your protection needs. 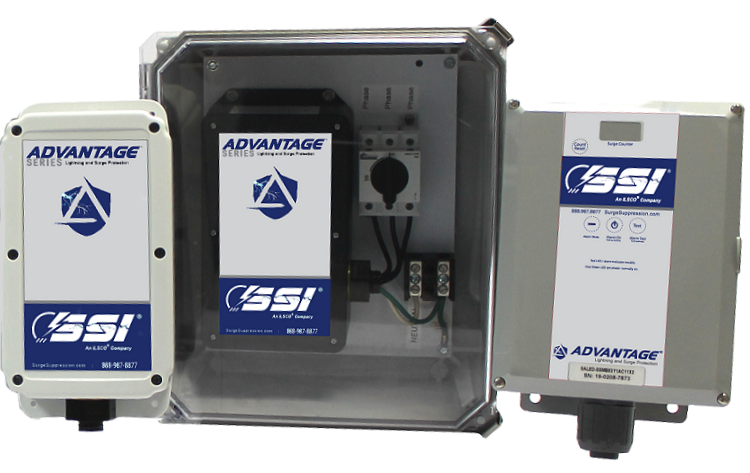 Don't settle for anything less than the best surge protectors and SPD Options. You can put your trust in our AdvantageTM Series devices. The design, features, safety and Warranty are second to none. Take a few moments to view our informational videos. When it comes to protecting your UPS and critical systems from transient voltage, choose the leader in surge protection.